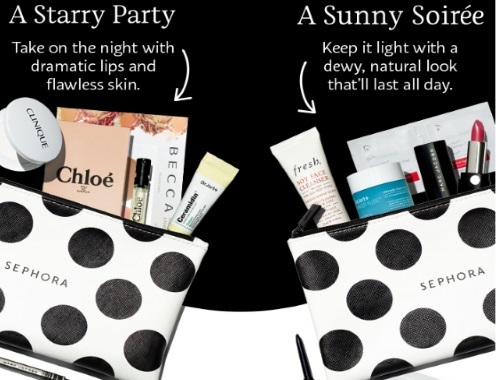 Sephora a hot new promo for VIB and VIB Rouge members! Get a Free Summer Splurge Sample bag with $40 online or in-stre purchase! This includes a bauty bag filled with eight samples! There are two options, A Starry Party or A Sunny Soiree!